The 17 Best Apps For China: Download These Now! The internet can be a lifesaver when you’re abroad, especially when you move to another country. It may be restricted, but there are also many apps for China that can make your travel life easier when you visit this huge and amazing country! 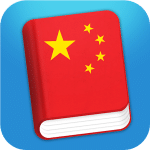 There are plenty of free must have apps for China that you can download easily. You might need to use an APK file if you have a Chinese phone with a Chinese app store – they likely won’t have Google Play installed because of the restrictions China puts on the company. Either way, don’t panic that you’ll feel isolated without the technology that you’re used to. Not only can you definitely access Facebook and Instagram, but you can also hire a bike with a QR code or check how much your subway ticket is going to cost you in an instant! Check out our list of the apps you won’t want to live without once you start living in China! 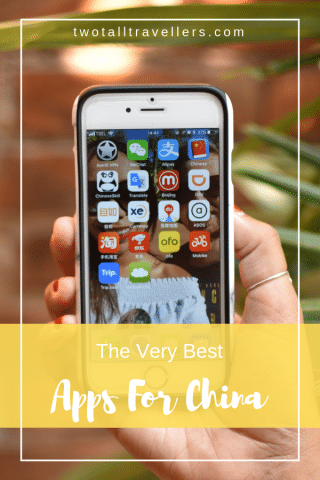 These are all the best apps for living in China because you’ll be able to blend in like a local as soon as you get there, but they’re also the best apps for travelling in China because you’ll be one step ahead of all the other tourists! It can be difficult to work out what apps can be used in China, and apps to install before going to China, but everything on this list can be used once you’re there. The only one to download before you leave for your trip is the first one! What apps does China block? What’s the best app for learning Chinese? Which VPN service should I use in China? One of the most important apps for China is a VPN. 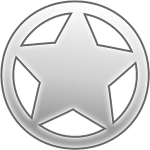 This is our favourite paid VPN service, although there are plenty of others that our friends swear by. VPN stands for Virtual Private Network, and it means that you can bypass the Great Firewall of China. Hooray to being able to watch Netflix and keep in touch with everyone at home on Facebook! 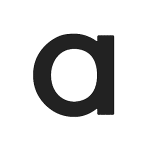 You do have to pay for Astrill, but it’s worth every penny! There are free VPNs but they’re nowhere near good enough to use long term. Download it just before you go to China because tt’s really difficult to access a VPN website whilst in China if you’re not already on a VPN!! *Since July 2017, there have been reports of VPN apps being removed from the Apple store. You should still be able to install them via your devices own VPN settings anyway though. 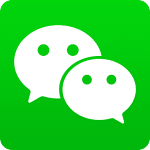 If you’re moving to China, then you will hear about one of the best apps for China, WeChat, very quickly. It’s an amalgamation of a Chinese chat app, Facebook, Twitter, Apple Pay and so many more services rolled into one. Most Chinese people use it as a form of social media, but you can also pay retailers, and even order taxis through it. Tuk-tuk drivers will usually have a QR code that you can scan which means you can pay them via WeChat too. You can send your friends money, pay your rent and utility bills. It does have to be linked to your Chinese bank account to be able to make payments though so get that set up first. One of my favourite things about WeChat though is the community aspect. You can text, ring or video chat anyone in your WeChat contacts, but you can also be part of a group with hundreds of participants who are all interested in the same things. For example, when we adopted our cats, I joined a couple of cat rescue groups and met so many people who had done the same thing. It helped us connect with the right vets, buy the right food and talk to the right people when we fostered another kitten too! READ MORE: Why We Love WeChat! Similar to WeChat, AliPay is popular for paying for things. You can send money to your friends easily and pay your bills. 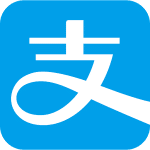 Think of it as the Chinese version of PayPal but without the shocking fees! Again, you’ll need a Chinese bank account but once that’s set up, you’re good to go. You’ll probably be thinking about practising your Chinese if you’re planning on staying a while, and this app is super helpful for everyday words and phrases. The free version offers so much that you’ll be pretty confident in either speaking Chinese or at least recognising the sentences in no time! It can also talk, which means you can ask a Chinese person to listen to your phone and they’ll understand your phone if your Chinese accent isn’t too good yet! Another language app, this time you’ll want this if you’re more serious about learning Chinese. It’s set up like a little quiz – you get taught the new vocabulary and then you’re tested on it! Some questions and multiple choice, some use images, and some ask you to write the pinyin (yes, including tones!) from memory! 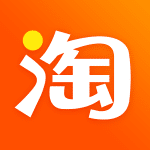 It’s an amazing app that will really get your Chinese learning started. Plus, if you skip a week for whatever reason, or you’re not quite confident enough to move on, you can repeat a section and develop your skills. 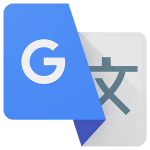 If you’re not that bothered about learning Mandarin, then just download Google translate (before you arrive or once you’ve already got Astrill!). There are other apps that work offline, but we found Google to be the best. Make sure you have the file on your phone or tablet before you set off into the streets of Beijing though! As well as being able to type in words, it has a really cool feature where you can take a photo of a sign or menu for example, and it will try and recognise the characters and translate them! It might not always work 100% but you can generally get the gist of what you’re trying to read. This is a great app for using the subway system. Beijing isn’t the only city they serve, so have a look if you’re visiting another city! You can select your origin station and your destination, and then find out the easiest way to get there and how long the journey will take. It also works offline which can be a saviour! If you would rather take a taxi, then, by all means, flag one down. However, the Chinese Uber equivalent has just updated its app to provide an English version! 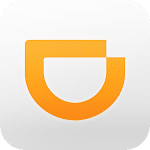 You can request a Didi car, which is private and pay a little bit less, or stick with a standard yellow and green taxi if you’d prefer to pay by the meter. They usually arrive in minutes and have already accepted the job so won’t refuse to take you if you’re heading out of the city as some cabs do! What’s great about Didi is that there are also pre-written options to help you connect with your driver. It means that they don’t have to call you to let you know they’re in traffic, or they can’t find you. You can even pick different levels of car – taxi, premier or luxe so if you’re feeling flash, order a blacked-out Range Rover to take you to the pub! This company is a hugely popular estate agency. A flat with them will typically include a smart TV, Wi-Fi, a decent air-conditioning unit and modern furniture. They can help you download the app once you’ve signed a contract, and then you can easily see when your rent is due and pay it as you wish. If you’re looking to rent an apartment, we highly recommend Ziroom. They might be a little more expensive, but they are super helpful and are always on hand if something goes wrong in your place! 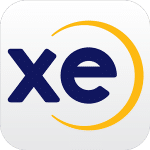 There will almost always be a time when you need to convert prices quickly, and XE is a perfect way to do that. You can also add in multiple currencies and compare them, which is especially helpful if you’re travelling to many countries and need to organise your finances! Sometimes waiting to sign into your VPN and loading up Google Maps can be a pain, so download Baidu instead. 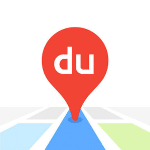 Baidu is China’s biggest search engine, so naturally, it is a popular choice to use when looking for a map. It’s in Chinese which can be problematic, but it’s handy for working out where you are or where the nearest subway station is! This may sound like a strange suggestion, but everyone needs clothes, right!? China is renowned for making small clothes, so if you usually shop in the Tall section, or have a waist large than a doll’s, you might want to order some clothes in. ASOS deliver to China and it only takes five days if you choose the express option. Just make sure that you get someone who can read and write Chinese characters to add your address into your account so that you don’t get it wrong! The Amazon of China! These are actually two different online shops, but they do the same thing. You’ll hear people ask if someone knows where to get a certain item, and the response will almost always be one of these online giants. The delivery is fast – sometimes the same day! You can buy anything from camera gear to cat food, to foreign makeup brands here, but beware of random sellers who might be scamming you. It’s often best to buy directly from Taobao/JD shops. Recently, there have been literally thousands of bikes popping up all over Beijing. Yellow bikes, orange bikes, blue bikes, gold bikes … the city is just a rainbow of colours right now! 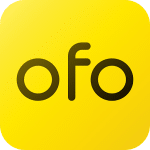 This is because there have been companies like Ofo and Mobike renting them out for 2RMB/£0.23/$0.30 per journey. You download the app and add your deposit (around 200RMB). Find a bike – they are usually piled up outside subway stations or outside shops but you can also find random ones left in the middle of the pavement! Scan the QR code to get the code for the lock, and then you’re in! 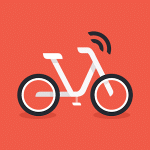 Once you’re finished, tell the app that your journey is over, and leave the bike where you want (within reason!) It’s great because you don’t have to find a bike station to leave it when you’re done, and they’re so cheap too! You can always find cheap flights on Trip. 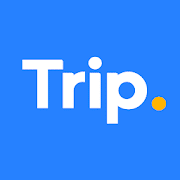 (formerly known as Ctrip!) It offers hotel rooms and train tickets too, and is China’s largest online travel agency (they recently bought SkyScanner!) so you’ll be able to find a great deal whenever! You can also track your flight on the app and get updates on which gate you need to go to. The one you really don’t want to need, but do! This is especially important for northern cities like Beijing, where the pollution often covers the city in thick smog. You can check the AQI levels for the past 24 hours as well as the past 30 days, so you can look for patterns. It’s always good to be prepared for the weather, so you can dress appropriately (read: wear a maskwhen you leave the house!) and plan fun things to do indoors if it gets too bad! This list of apps is sure to help you when you move to China! They’re ALL free to download, so you can download away without worrying about spending extra – not that it isn’t cheap to live in Beijing anyway! Facebook, Twitter, Snapchat, YouTube and Instagram are all blocked, and there isn’t a Chinese version of Netflix yet. WhatsApp has also recently been blocked as the messages are encrypted. The ‘Great Firewall’ filter gets smarter every day, so it could also block any website it wants. The best way to get around this is to use a VPN but download one before you get to China! I think the best app for learning Chinese long term is ‘Chinese Skill’. It breaks down the language into easy-to-digest chunks and there are plenty of pictures and matching games to help you piece together your new skills. 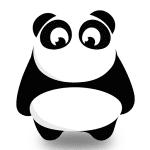 If you are only visiting for a week or two, then ‘Learn Chinese’ is a good online phrasebook to help you get around. 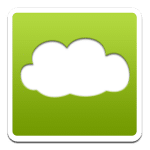 We tried lots of different VPNs and we found that Astrill was the best one. They have hundreds of servers that allow you to bypass the Chinese internet security system and browse whatever you please. You can, and they’re fine for short-term use or emergencies (i.e. if you really want to send a Facebook message or access your Gmail account!) but for anything else then you’d need a proper paid service. They’re not overly expensive considering they let you literally access any website you want, with the added benefit of keeping your computer secure from hackers! 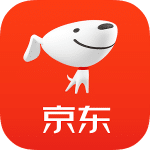 Have you used any of these apps in China? Are there any others that you couldn’t live without? Let us know in the comments below! Click on the image below to pin this post!